iPad Not Connecting To WiFi? Here's Why & The Real Fix! You are at:Home»iPhone»Wireless»iPad Not Connecting To WiFi? Here’s Why & The Real Fix! iPad Not Connecting To WiFi? Here’s Why & The Real Fix! Your iPad won’t connect to Wi-Fi and you don’t know what to do. Every time you try to visit a website, it won’t load. In this article, I’ll explain why your iPad is not connecting to Wi-Fi and show you how to fix the problem for good! A lot of the time, your iPad is not connecting to Wi-Fi because of a minor software glitch. Sometimes, simply turning Wi-Fi off and back on can fix the problem. Open Settings and tap Wi-Fi. Then, tap the switch at the top of the screen next to Wi-Fi to turn it off. Tap the switch again to turn it back on. If turning Wi-Fi off and back on didn’t work, try restarting your iPad. It’s possible your iPad’s software has crashed, which could prevent it from connecting to Wi-Fi networks. Press and hold the power button on “slide to power off” appears. Swipe the power icon left-to-right to shut down your iPad. Wait a few seconds, then press and hold the power button again to turn your iPad back on. While you’re restarting your iPad, turn your router off and back on as well. When your iPad won’t connect to Wi-Fi, sometimes your router is to blame. To restart it, simply unplug it from the wall and plug it back in! Now that we’ve worked through the basic fixes, it’s time to move onto some more in-depth troubleshooting steps. First, we’ll try forgetting your Wi-Fi network on your iPad. 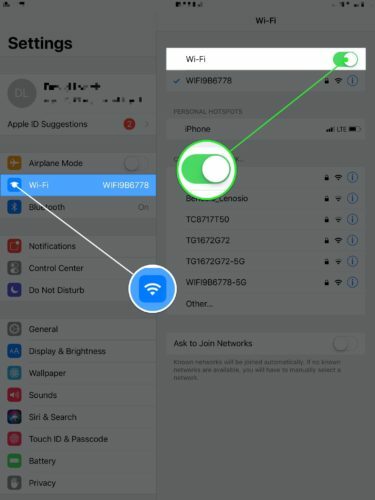 When you connect your iPad to a new Wi-Fi network for the first time, it saves data about the network and how to connect to it. If something changes in how your iPad connects to the network (e.g. you changed the password), forgetting the network will give it a fresh start. Open Settings -> Wi-Fi and tap the blue “i” button next to the name of your Wi-Fi network. Then, tap Forget This Network. Now that the Wi-Fi network has been forgotten, go back to Settings -> Wi-Fi and tap on the name of your network. 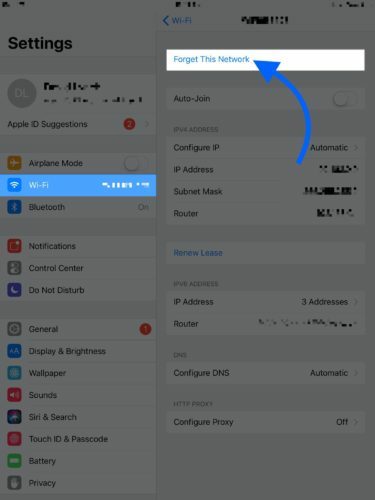 Enter your Wi-Fi password and see if your iPad will connect to Wi-Fi. If not, move onto our final iPad software troubleshooting step! 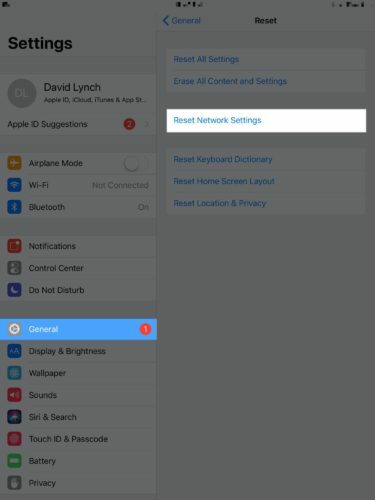 The last troubleshooting step when your iPad is not connecting to Wi-Fi is to reset its network settings. This will restore all of your iPad’s Wi-Fi, Bluetooth, Cellular, and VPN settings to factory defaults. After resetting the network settings, you’ll have to reenter your Wi-Fi password and reconnect your Bluetooth devices. Open Settings and tap General -> Reset -> Reset Network Settings. Enter your iPad passcode, then tap Reset Network Settings to confirm. Your iPad will turn off, perform the reset, then turn back on. 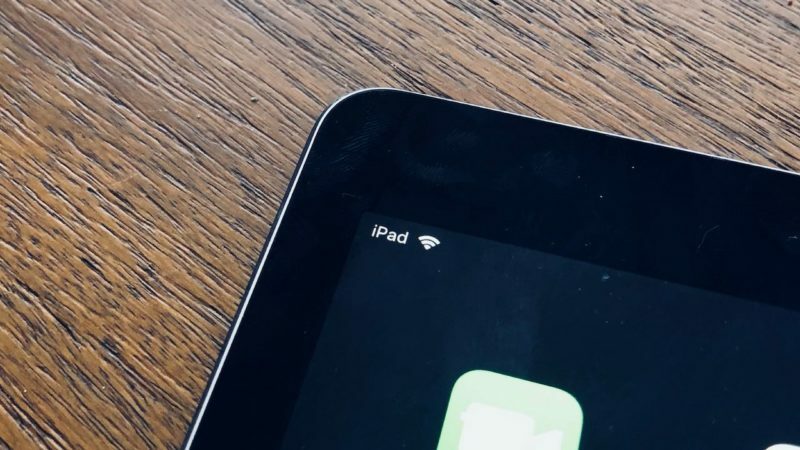 If your iPad still won’t connect to Wi-Fi after you’ve reset the network settings, it’s time to troubleshoot issues with your wireless router. Check out other article to learn how fix problems with your Wi-Fi router! It could be that your iPad is not connecting to because its Wi-Fi antenna is broken. In some iPads, the Wi-Fi antenna also connects to Bluetooth devices. If you’ve been having trouble connecting your iPad to Wi-Fi and Bluetooth, you may be dealing with a broken antenna. If you have AppleCare+, schedule a Genius Bar appointment and bring your iPad into your local Apple Store. We also recommend Puls, a repair company that will send a certified technician directly to you in as little as 60 minutes. They’ll fix your iPad right on the spot and cover the repair with a lifetime warranty. Your iPad is connecting to Wi-Fi again and you can continue to use your favorite apps or browse the web. Make sure to share this article on social media if your friends and family need help when their iPad is not connecting to Wi-Fi. If you have any other questions about your iPad, leave it in the comments section below! Previous Article“Unable To Check For Update” On iPhone? Here’s The Real Fix! Next Article iPad Speaker Not Working? Here’s The Real Fix!